The 2018 flying season is in full swing. 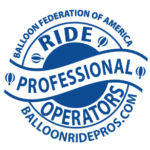 Book your balloon ride today! Sunrise and sunset flights available.